Japan's annual rock festival Fuji Rock Festival announced the first wave of artists on its lineup – and it's out-of-this-world. The festival, first held at the base of the famous Mount Fuji, has been a gathering for music-lovers since 1997. And over the last 22 years, the lineup each year has been nothing short of spectacular. 2019 will be no different. This year's headliners include festival returners The Cure and The Chemical Brothers and first-time festival performer Sia. The rest of the roster includes highly celebrated artists such as Death Cab For Cutie, James Blake, Jason Mraz, Janelle Monáe, Kaytranada, Jason Mraz, Daniel Caesar, Anne-Marie and Toro Y Moi. Many more artists have yet to be announced so stay tuned for updates. 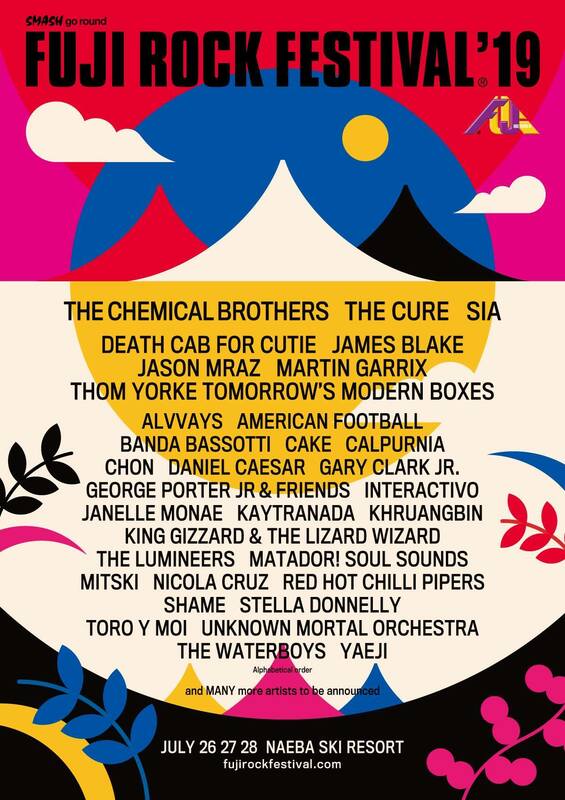 Fuji Rock Festival 2019 will be happening Friday to Sunday, 26 to 28 July, at Naeba Ski Resort, Yuzawa-Cho, Niigata Prefecture, Japan.